New Church to Adopt the City…But Where’s the Gospel? I know these are big pictures, but to see the whole brochure, big is better. If you like, when you go there on April 3, you can enter a raffle according to their door to door advertisement left on our knob this week. We received a free raffle ticket attached at the bottom for an “ipad2,” “dinner and a movie for two,” a 6 week cardio kick boxing class,’ or 6 weeks of Karate classes. God bless people who desire to share the gospel, but on the video (see below) I think the bible is mentioned once, and most of what the people have to say is about their experience there. I am sure there are well intentioned people there who love the Lord. I am not criticizing, I am observing. You can see from the video, there are people there of every age, and apparently the worship leader “Justice” is quite popular. Everyone is “pumped up,” which I think I heard a number of times in the church video. They are pumped up because Justice “brought it.” I suppose that is related to the message somehow, but Justice himself is interested in Jesus, people and the city. In fact, one follower thinks it is “stinkin’ awesome,” and was once again “pumped” that there were so many people there. 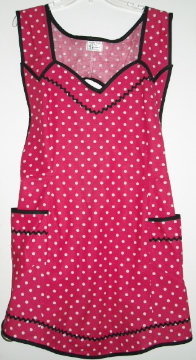 They are also selling church “apparel” to help support the Freedom Kids Club. There is no mention of the gospel, it’s ability to forgive, it’ s need for true repentance or the “brokenness” over sin. However, you can get your laundry done by church members once or twice a month, as they “reach out,’ to the city. Perhaps that’s when they talk about the gospel… that in the dryer missing socks “go to be with Jesus” as the late comedienne Irma Bombeck wrote. I wonder how many souls will die for lack of sound biblical doctrine; for living under the idea that we can get “pumped” at a worship service and fail to know the living God in all of His glory, power and deserved reverence. Oh well, maybe it’s me. I ‘m a mother. 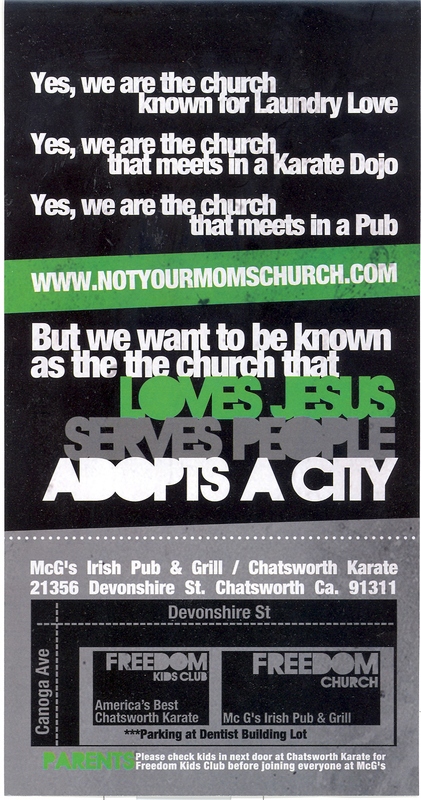 In fact, a grandmother- and it’s “not your mother’s church, ” As their brochure states. No need to tell me. Perhaps it is not a church at all. Or maybe just not the “true church.” I don’t know. Only the Messiah will differentiate that upon his coming to judge the seven churches. I sure hope he can recognize himself reflected in this one. Good intentions, acts of kindness, doing someone’s laundry neither get us to heaven or help someone else come to the Lord. As R.C. Sproule explains in a recent you tube post to this site, people are not looking for Jesus, they are looking for peace, relief from guilt, meaning and significance… all the benefits of a relationship with God without the commitment. It is only by God’s grace that one is driven to the cross. It isn’t by having someone else do the laundry for you. This kind of “city” thinking is part of the move to change the church in America. As Paul McGuire reminds us there will be persecution of Christians here even in this country, but not for the one’s who have chosen to participate in the “state” church. Reaching the city for Jesus is not a new concept. The emergent church has been attempting to do this for years. There are some churches and church leaders who have succumbed to a political agenda. The following is an example of how the government can get tied into the church. Maybe the “Freedom Church” is just a little too free thinking, or not interested in freedom at all. "Believing women getting out of the kitchen and into the culture..."
Many of you know about Paul McGuire and his end times teaching if you have been attending P.A.R. monthly meetings. In the following You Tube, he explains the coming persecution of Christians, in this country. Through his research and analysis of world history, particularly Nazi Germany, and the church as it responded and succumbed to Hitler’s leadership, McGuire warns those of us who are believers to be prepared. At our last meeting we heard Paul discuss the underpinnings of Hitler’s reign; the occult. We also learned that occult practices were common to him and his circle of influence. We were also made aware at our last meeting of the spiritual warfare we face, which most believers do not know how to pray against, or do not see it for what it is and just don’t bother. The following You Tube segment deals with some of the most profound subject matter Paul McGuire has ever addressed. He is becoming more courageous and forthright with his warnings. If by some freak chance he is wrong (In this writers opinion, he is biblically sound and a true watchman on the wall) we lose nothing. We will be stronger, better informed on spiritual warfare and what is going on in the world around us. Hopefully and most important- is that we will be given over to a more holy life, set apart for God’s purpose. Pray about what you hear, do your own research as Paul suggests. There is nothing to fear. If God is for us, who can be against us? We must remember that no one knows the day or time of Messiah’s return for His church, but it would be foolish to think that it isn’t coming soon, possibly in our lifetime. Please take about 5 minutes to hear what he has to say about the church in America. Read “The Coming Persecution” by Paul McGuire. In light of the Japanese earthquake, tsunami and now nuclear reactor events, he has compiled a list of offenses the Japanese have imposed on the apple of God’s eye, Israel. His collection of articles enumerating events that have led up to what is now going on in Japan is indeed surprising as you will see an escalation in resistance to Israel and her independence. Reader beware. God is not mocked. He means what He says and He says what He means. Nations, including the U.S., have suffered enormous tragedies when they have come against God’s chosen nation. (See the book “Eye for an Eye”). But there is hope. You have a choice. If you have neglected supporting Israel because your pastor or teacher has not talked about what it means, it is up to you to learn for yourself. When you get it, please pass it on to others. This is not an incidental thing with God. He promises, He is zealous over Zion. He also promised in Isaiah that he would devastate the enemies of Israel the way they have devastated her. We are not privy to the reason God chose that nation to keep the record of the history of man with God, or why He has chosen that land in which to one day rule over all the Kingdoms of the earth, but remember this… Israel belongs to God. Before you get into discussions about why Israel should be divided up, think first about God’s promise to man. May I introduce you to William Koenig’s website where once again he has done his homework, proving that those who curse Israel will be cursed, ie; Japan. Then find a way to bless Israel. Jesus said, His kingdom was not of this world. He said He would not reign until we were in His Fathers’ kingdom. (Matt. 26:29) He said, the poor we would always have with us. Christians will not alleviate poverty on the earth, nor will we eradicate spiritual poverty. This can only be done by the Holy Spirit. It is God who seeks man. Man in his depravity will never seek God. He said of Babel, “Behold they are one people and they all have the same language. And this is what they began to do, and now nothing which they purpose to do will be impossible for them.” God was not pleased that man would attempt to be like God and govern himself. (Gen. 11:6-9) These verses display a principle strangely ignored. God is not in favor of globalism, ecumenicism (religious conglomerates) or a one -world economy. He confused man’s languages early on in our history because by nature, man is proud and self -sufficient. Perhaps we are too ignorant to accept this truth, even those of us who believe. Compare and contrast what you see in the following article with the scriptures. Independently, if you take scripture out of context you may be able to support the ideas represented by these well-known well-liked individuals. However, if you take the whole counsel of God and read line upon line and precept upon precept, you will recognize the efforts of man in our day and time are much like the people of Genesis 11. Beware of topical teaching. Sometimes it is appropriate, and sometimes there is a hidden agenda behind it. Go to God- let Him lead you into truth. The method of choice for building the church these days is “consensus thinking,” which stems from the German philosopher Georg Wilhelm Friedrich Hegel, now referred to as Hegelian Dialectic. It is not of God, not of the bible, but of Hegel. It is a philosophy that has been used to run governments and corporations for years. It found an open door into the church through the pastor of a mega-church in Chicago. Believe what you choose, or believe God’s word. The responsibility for the information God avails to you is now your burden to prove, disprove or ignore. 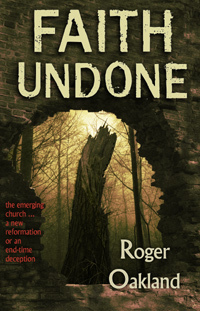 I recommend reading, “Faith Undone,” a book by Roger Oakland. Early in the church growth movement, (CGM) (formerly known as the emergent church) the “Leadership Network,” which was the basis of the CGM was inspired by Peter Drucker, a “business guru.” We have been sadly led astray ever since… read the book. “Total Quality Management [TQM] is based upon the Hegelian dialectic, invented by Georg Wilhelm Freidrich Hegel, a transformational Marxist social psychologist. Briefly, the Hegelian dialectic process works like this: a diverse group of people (in the church, this is a mixture of believers (thesis) and unbelievers (antithesis), gather in a facilitated meeting (with a trained facilitator/teacher/group leader/change agent), using group dynamics (peer pressure), to discuss a social issue (or dialogue the Word of God), and reach a pre-determined outcome (consensus, compromise, or synthesis). “When the Word of God is dialogued (as opposed to being taught didactically) between believers and unbelievers… and consensus is reached – agreement that all are comfortable with – then the message of God’s Word has been watered down ever so slightly, and the participants have been conditioned to accept (and even celebrate) their compromise (synthesis). The new synthesis becomes the starting point (thesis) for the next meeting, and the process of continual change (innovation) continues. The Crossroads link is an outstanding explanation of the three-legged stool approach; the Hegelian approach to “operating” the church. CGM churches are using management methods to obtain results at the expense of members who are committed to doing things Gods way. Your taxpayer dollars are going to refurbish mosques around the world and also to pay for internet services. How enlightened have we become? Are of you of the ilk who think that tolerance is the answer? Did you know radicals are actually considering putting a burka over the satute of liberty? Sharia4America. Nonie Darwish comments on the mosque makeovers. She believes there is a mandated death sentence on her life for her abandonment of her Muslim faith and public exposure of it’s dangers. Mosque Makeovers With Your Tax Dollars – Video – WSB Atlanta. Eman a Christian, was a teenage girl living in the Netherlands when the Germans invaded her town. It was an “overnight” takeover, and many believing friends and family succumbed to this evil invasion, thinking as Christians, they were to submit to the authority of the government no matter who or what they represented. Many of them suffered and died at the hands of the Germans, but Eman, with a few other young men and women, managed to hide and save many Jews because they could not resolve that God himself was on the side of the Germans. They could not understand why their Christian brothers and sister so easily gave in to the invasion and forfeited the freedom God had given them. The point is… where do you stand? Are you “too busy” to get involved? Are you of the conviction that you are to succumb to evil because evil is encroaching? May I suggest you read the book. It is an easy and fast read. It will stir your conscience. Find a copy on Amazon and read it with friends. 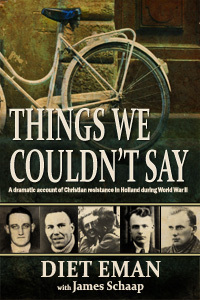 Read part of it here on Google books; “Things We Couldn’t Say” there are about 90 pages online and it may be all you need to read. The following article will make sense to you, (if it doesn’t already) after you hear Paul McGuire’s comments on his new DVD “High Level Spiritual Warfare.” Make plans to attend the March 18 meeting of P.A.R. to begin promptly at 9:30 a.m. We will end by 11:30 a.m. so you will have lots of time to do what needs to be done on a Friday afternoon. “Do not be deceived God is not mocked. Whatever a man sows, so also shall he reap.” Gal. 6:7 We are all evangelists. It is a big word, but it doesn’t mean professional, it is simply done by means of being led by the spirit. Not everyone is a Billy Graham, but everyone can do what Billy Graham does… share the gospel. If you have ever attended one of his events, or seen them on TV, you will hear a man with a simple message. You have the same message. It is up to God to call others into His kingdom, but who will speak for Him if not you? External security cameras coming to ‘real time crime center’ – Standard-Examiner.